Acting Jobs>Entertainer Jobs>Universal Studios Singapore Auditions 2019! 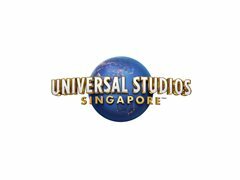 Universal Studios Singapore Auditions 2019! Are you ready for a life-changing experience? Universal Studios Singapore wants you! If you are unable to audition in Sydney, Video Submissions are accepted by 8th April 2019, 5pm EST. Press APPLY NOW for instructions on this. Don’t Miss your Chance, a Life-Changing Adventure Awaits!